A unique blend assembled with a strong percentage of Isle of Arran Single Malt, raised in refill Sherry casks. To celebrate the 10th release anniversary of its iconic blend, Arran distillery offers a version reworked in style and content. This unique blend has been elaborated with a strong percentage of Isle of Arran Single Malt, and partly raised in refill Sherry casks. 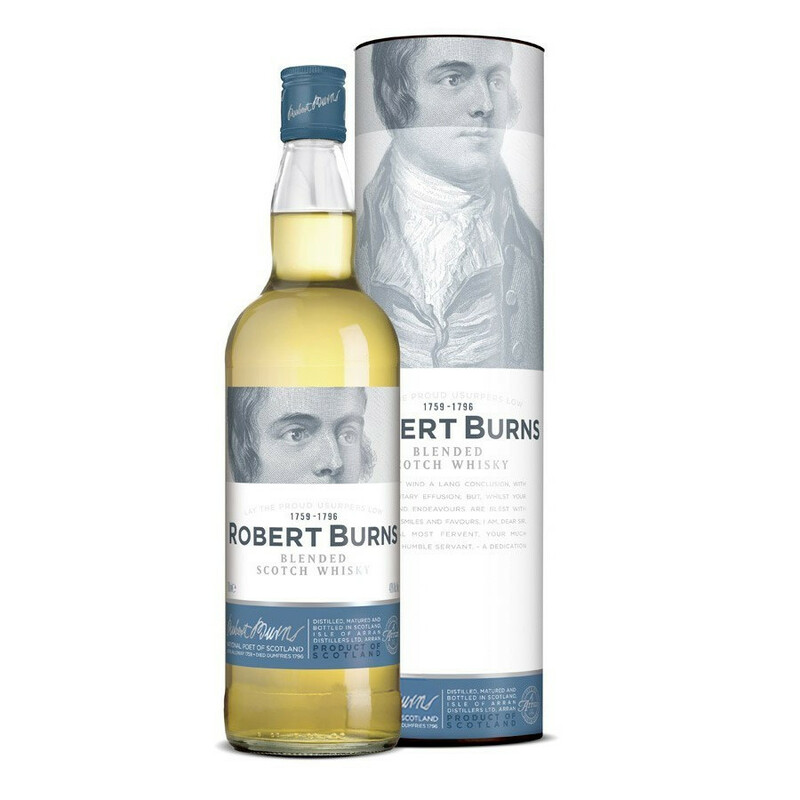 Robert Burns Blend features a new style with modern designs and a cardboard case. The owners of the Arran Distillery originally strived to produce a Single Malt closer to the Highlands character than to the Isles. To spread the word about its famous 'spirit', the Arran distillery chose a poet as ambassador. The famous Scottish poet Robet Burns, native of Southern Scotland, praised the spirit many times in his stanzas. Namely, one of his most famous poems is entitled 'John Barleycorn'.